Any CNC machine in Amada's FO series is an excellent choice for a laser cutting machine, and the FO 3015 is no exception. The cutting head is newly designed and provides a smooth cutting surface of sheet metal finish from having the flow of assist gas being optimized inside the head. 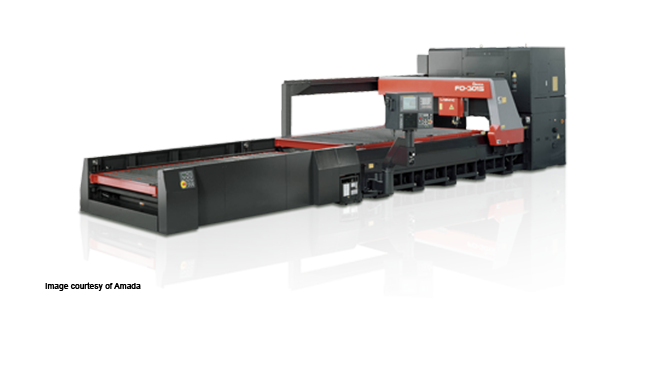 Merry Mechanization's sheet metal nesting software is a perfect fit with any of Amada's FO series machines, including the Amada FO3015. Even if plasma occurs on sheet steel that has been surface-treated or stainless steel that's thin, you can still achieve results of highspeed processing. Although optional, an additional gas line can be added to provide pressure reaching 2.5MPa to the laser CNC machine Amada FO 3015 with the gas circuit line.